Alaves vs Valencia predictions for this Saturday’s game in Spain’s La Liga as Los Che aim for a bright start to the new year. Read on for our free betting tips and predictions. This Saturday’s clash between Alaves and Valencia will be a really good test for both sides. 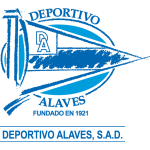 Alaves are looking to prove they can maintain their surprise top six push and a victory over one of the sides looking to replace them in the European places, would be a good indicator that they are capable of doing that. 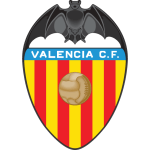 Valencia meanwhile will be hoping the new year will bring a change of fortune as they target at the very least Europa League qualification in La Liga. The top four will still be their primary objective but they’ve not been playing anywhere near the level of the current sides in the Champions League places. Results picked up a bit towards the end of 2018 but performances remained unconvincing with a Stoppage Time goal needed to seal a home victory over basement boys Huesca in their final game of the year. That goal actually lifted Valencia up 7 places to 8th but they remain well back on the top four and would be 9 points behind Alaves were they to lose this. The Basque club have had an exceptional season so far. They’ve been well organised and tough to break down under Abelardo with a sprinkling of quality in the final third enough to see them win several tight matches. Wingers Ibai Gomez and Jony have been their standout performers in an attacking sense but could attract interest this month so Abelardo will be keen to keep his side together as they start to think about a possible European push. The bookies make Valencia the favourites here but it’s hard to really see much sense in that. Los Che are the joint lowest scorers in La Liga with just 0.88 goals per game and only 0.63 on the road. This match is likely to come too soon for them to get any new recruits in to bolster their misfiring attack. Any deal may be dependent on them being able to offload Michy Batshuayi with Marcelino keen to end the Chelsea man’s loan deal this month. Valencia also have numerous selection problems right now. Geoffrey Kondogbia and Goncalo Guedes, two key men last term, are both sidelined through injury while Jose Gaya and Carlos Soler serve suspensions. With Francis Coquelin also carrying a knock, they are really short on numbers in midfield right now and that could be a problem against a combative Alaves side. The Basques are unbeaten at home this season, taking 2 points per game on average in front of their own fans. They’ve conceded just 0.63 goals per game in Vitoria and will really fancy they can keep this misfiring Valencia side quiet. Overall backing Alaves Draw No Bet looks good here.